Scarlet Macaws are very smart. Many have learned how to mimic speech and words when kept by humans. They can live to be over 80 years old in captivity and around 50 years old in the wild. They are the largest parrats in the world and have more than a 3-foot wingspan! Diet: eat fruit, flowers, buds, nuts, seeds, and some small creatures such as insects. 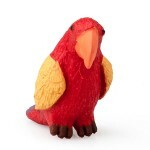 Print the Macaw Character Card! The Parrot can imitate many non-avian sounds, including human speech. 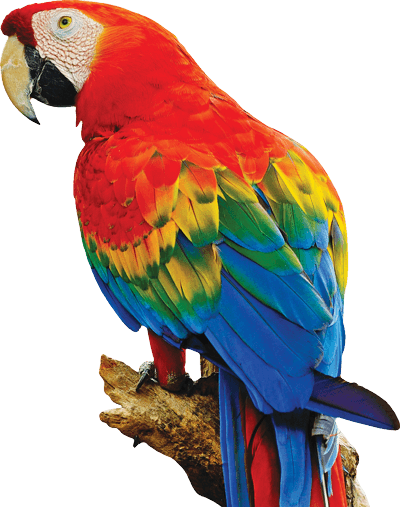 Parrots are “zygodactyls”, which means that they have 2 toes pointing to the front and 2 pointing to the back. Parrots have very loud voices. Different sounds mean different things (like “watch out for the hawk”, or “there’s food over here”). Some scientists think parrots are at least as smart as dolphins and chimpanzees.